I’ve stumbled onto something…and it’s my new favorite thing in the whole wide world! I was making nachos for the kids the other night and decided that I would make myself some sorta health-ed up taco salad! So I had browned and seasoned the lean ground turkey for everyone, and now I just needed to figure out what I was going to do to make my salad deelish! I chopped up the veggies I wanted. I crunched up some baked blue corn tortilla chips – in place of the Doritos that we used to use. All that was left was the dressing! 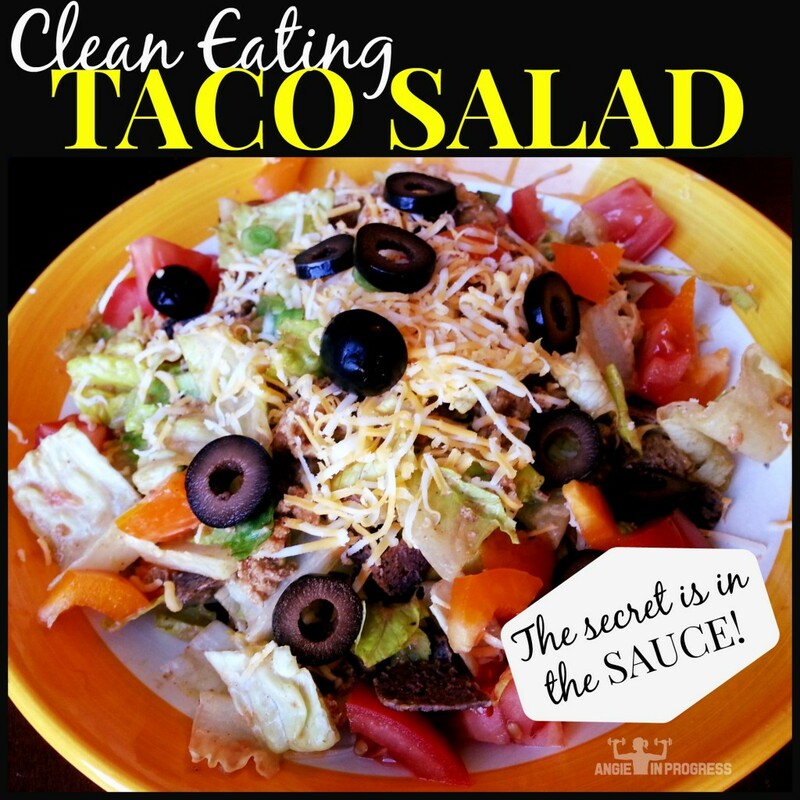 I think I only ever bought thousand island dressing for making taco salads in the past! (Doritos, too for that matter!) So I needed to find a substitute. My invention – as I am SURE that I am the ONLY person who ever thought of this 😉 – well go ahead and read the recipe!!! Directions – Place all of the ingredients in a large bowl and toss with the dressing…oh BOY…you’re going to LOVE this! Directions for the dressing: BLEND! As in – use a blender, or a food processor would probably work, too! Top with shredded cheese and black olives. And ENJOY the heck out of it! I have several times since my discovery! I’ve also been using the dressing as a dip, condiment, topping for random objects, etc. *My taco seasoning consists of lots of chili powder, some cumin, paprika, garlic salt, pepper, oregano and a pinch of chipotle chili powder. I’m sorry…I don’t measure. So that’s probably not very helpful at all! NOTE for 21 Day FIX-ers: If you’re following the 21 Day Fix OR the 21 Day Fix EXTREME, I use 1 red, 2 greens, 1 yellow and 1 blue and 1 orange for this deliciousness! 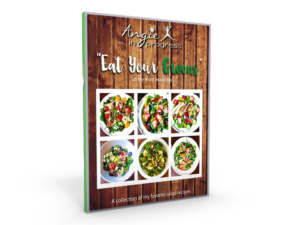 This recipe is from my FREE 7 – Day SlimDown plan! Lose 5-7 pounds in ONE week with my FREE 7-Day Slim Down Plan! 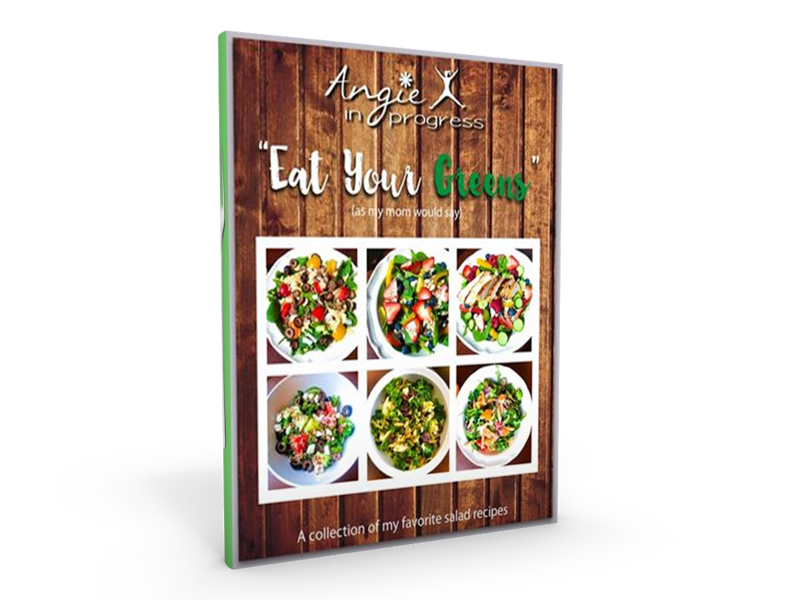 For more Clean Eating, 21 Day Fix approved salad and homemade dressing recipes, download my free ebook! Previous PostPrevious How to SCORE Turbo Fire for FREE! Next PostNext Keep calm and….WHAT?! 50% OFF!!?? ?